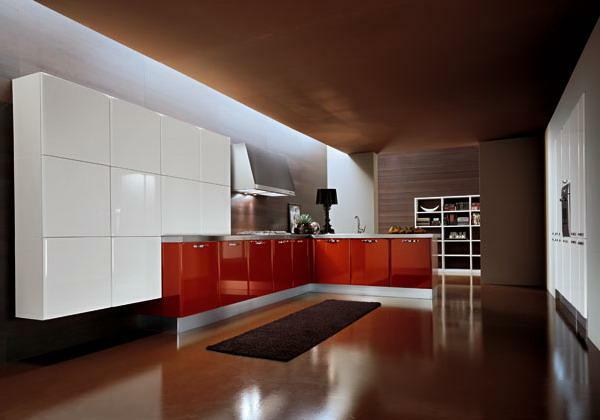 White and red color combinations are fresh, exciting and timelessly stylish. 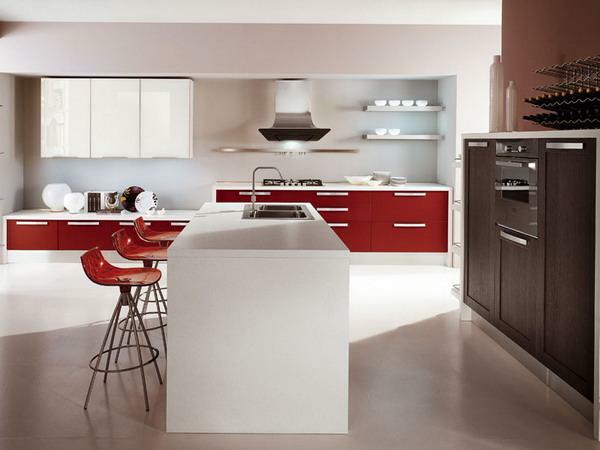 Contemporary kitchen cabinets in red color are not for everyone, but they can inspire to experiment with brilliant bright hues of red colors and create beautiful white and red color combination for your modern kitchen design. 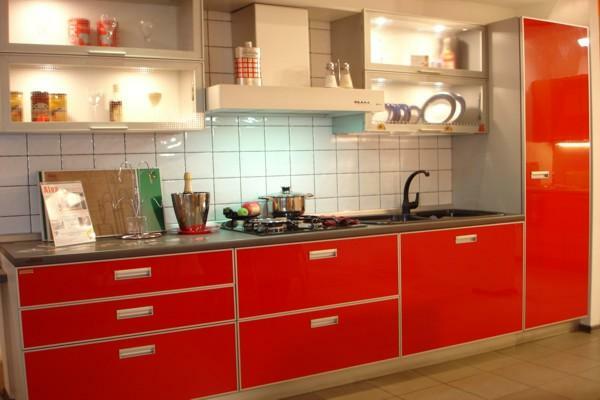 Lushome shares a collection of amazing kitchen designs with red cabinets which blend white decorating ideas with beautiful furniture, kitchen lights and decor accessories. 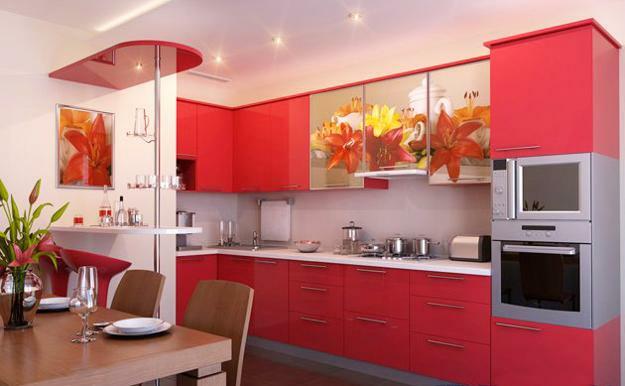 Large and small kitchens can be dramatically transformed by adding red kitchen cabinets, countertops, appliances or kitchen decor accessories in red color. 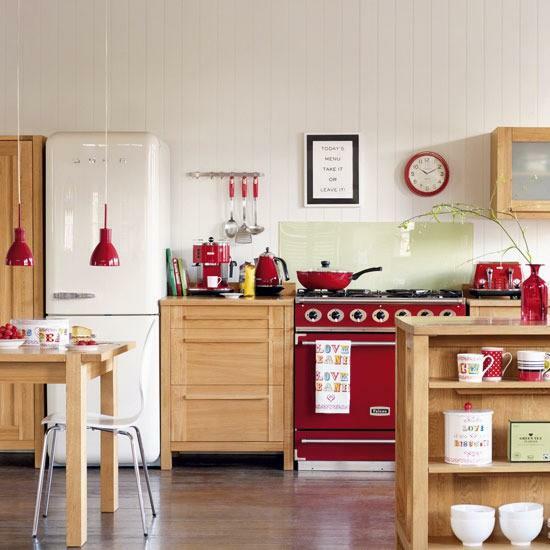 Even small kitchen design ideas look stunning when interiors feature red accents. 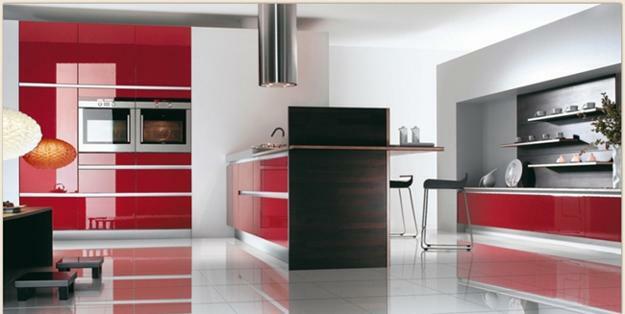 Red color can breathe life into kitchen interiors and bring character into modern kitchen design. 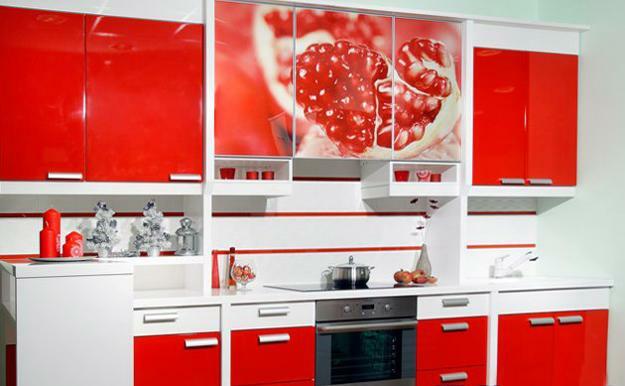 Red color, especially combined with white decorating ideas, can turn kitchen cabinets into true home decorations. 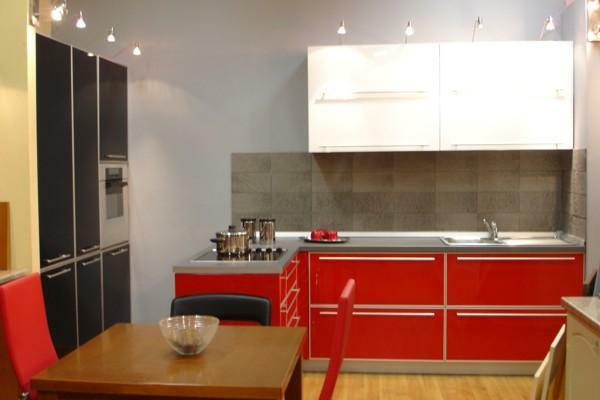 Modern kitchen colors and design styles change, but white decorating and red decor stay timelessly stylish. 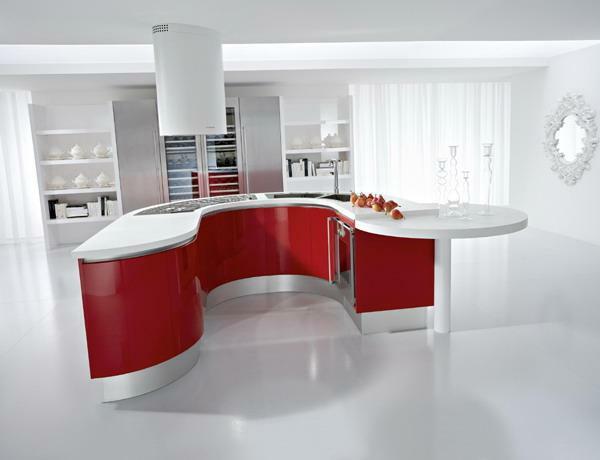 Many things can look out of place to one generation, while they may be perfect for another, but red color is always the symbol of passionate, extraordinary and dynamic kitchen design. 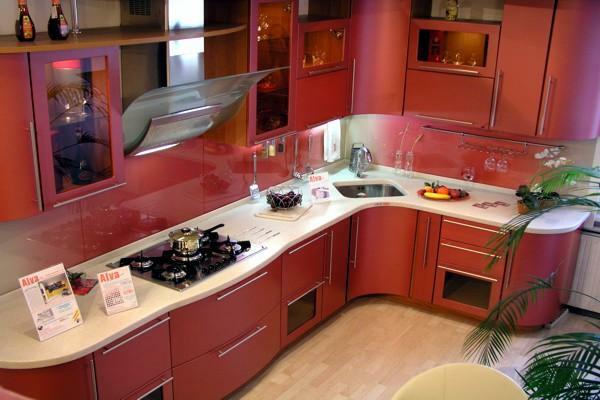 Red kitchen cabinets work well with white decorating ideas, light and dark brown colors of natural wood, pink and purple colors and all neutral color tones. 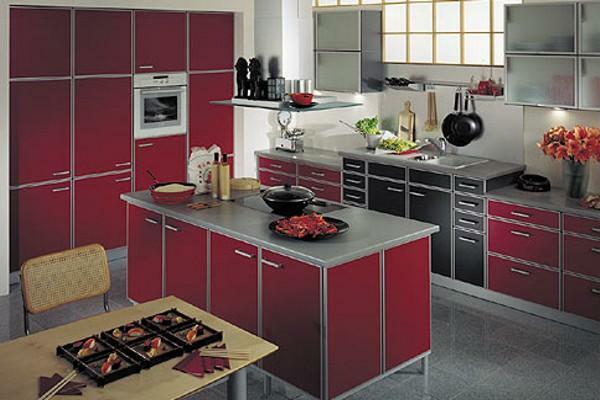 Also pastels can be used as background colors for red kitchen cabinets, creating balance of cool and warm kitchen colors. 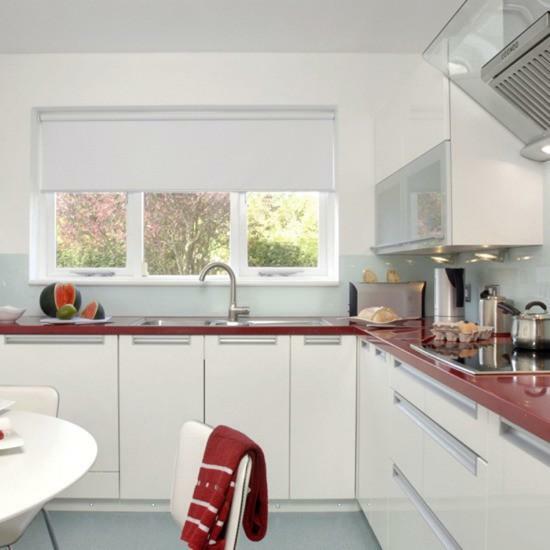 The pastels and off-white decorating ideas are classic kitchen design choices. 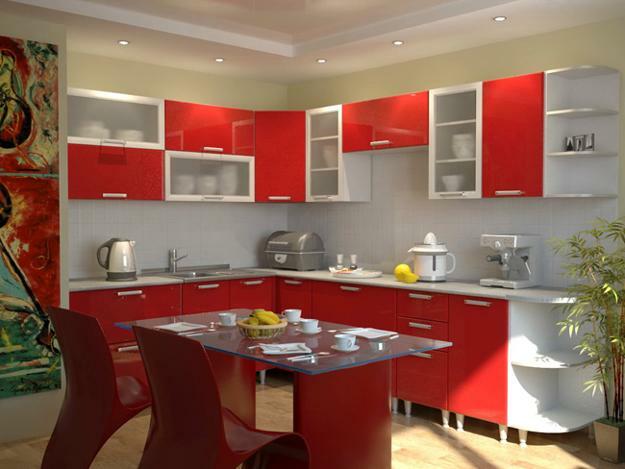 Red kitchen cabinets make these kitchen interiors look brighter, more fun and more interesting. 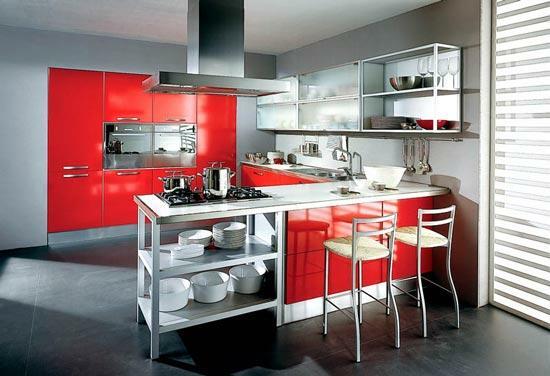 Red color is the ideal color design idea for creating highly visible kitchen cabinets and modern kitchen interiors. 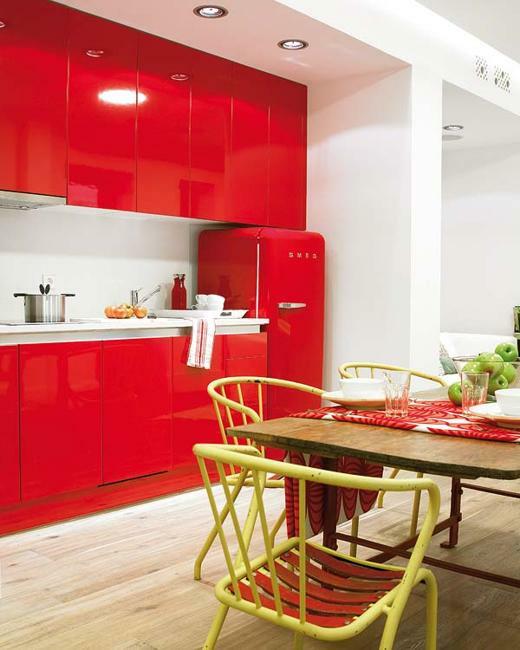 Red kitchen cabinets make a bold statement. 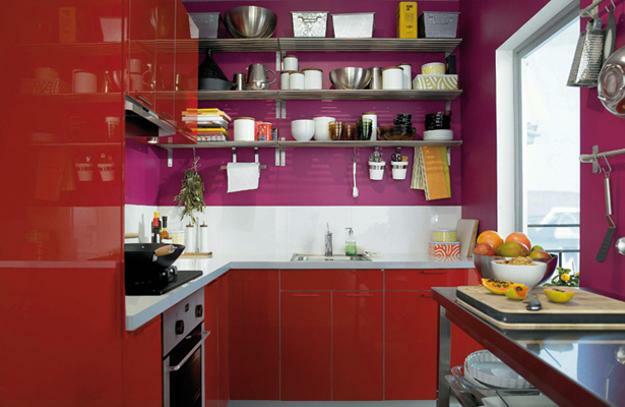 If that fits with your aesthetic preferences and kitchen remodeling or redesign plans, make liberal use of this hot primary color or use gorgeous rich purplish red colors of juicy berries and red wines. 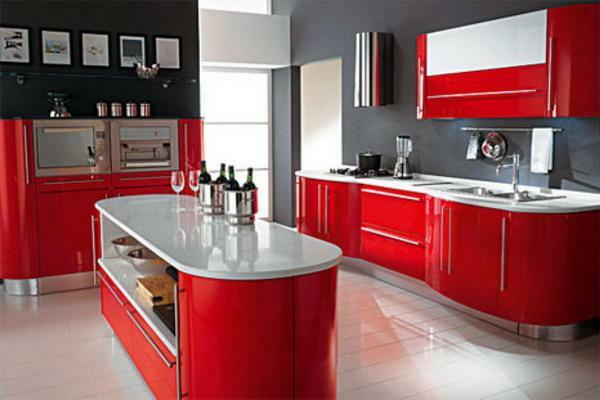 Red kitchen cabinets is a wonderful way to create an attractive, spectacular and modern kitchen interiors that make a statement and look very bright. 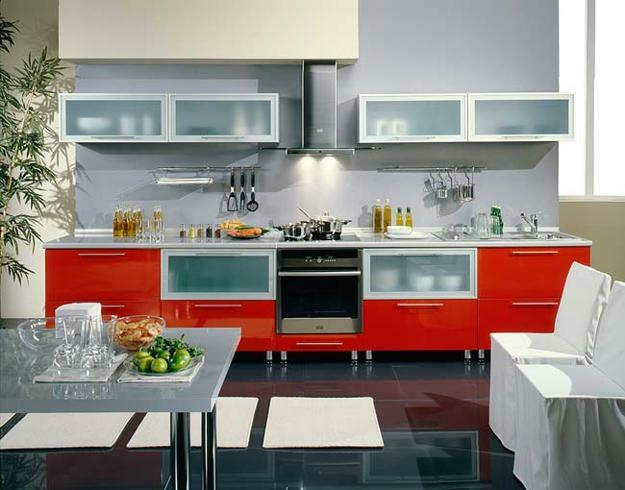 Modern kitchen design in white and red colors is happy to announce its presence in your home. 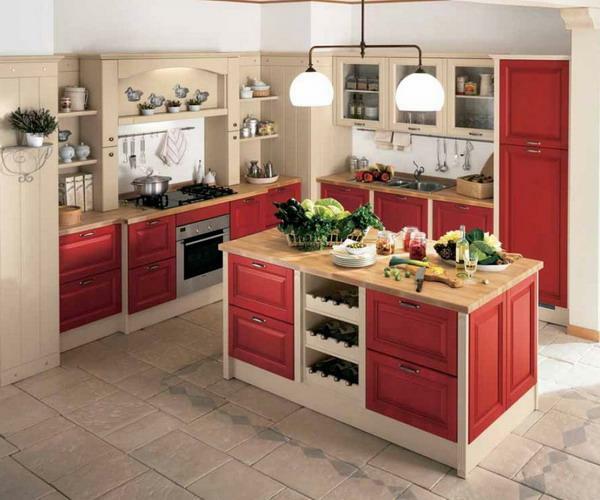 Instead of hiding in the back of a lacking interest house, white and red kitchen cabinets add fabulous decorations to your home and bring positive, warm and inviting atmosphere which delights your family and guests.